Creative, ingenious, colorful, crafty, artistic and kooky are all words I would use to describe ArtoCade in Trinidad, Colorado. Squish all those words together and you’ve got one very entertaining festival in a truly fantastic town. 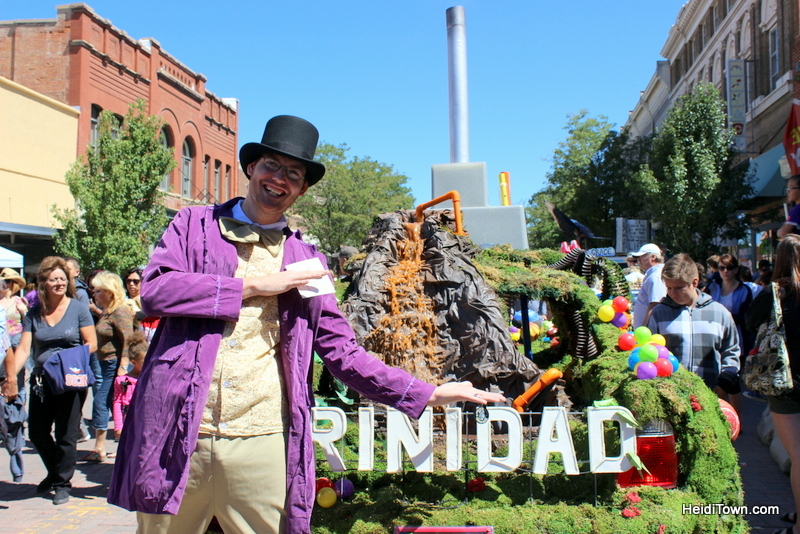 We were lucky enough to make it to ArtoCade last September, and since then, I’ve written about our Trinidad experience a number of times including “Trinidad, Colorado, It’s Not What You Think,” which has garnered quite a few comments over the months. Trinidad is a town undergoing a renaissance and that is bound to stir up emotional responses. From my viewpoint, the climate on the streets of Trinidad is generally positive; I get a sense that the city is moving in a good direction and ArtoCade is part of that. This festival is one part car event, one part art event, and entirely nuts. There’s a reason it won the Governor’s Award for Best Small Town Festival in 2016. The highlight of the event is the parade on Saturday. 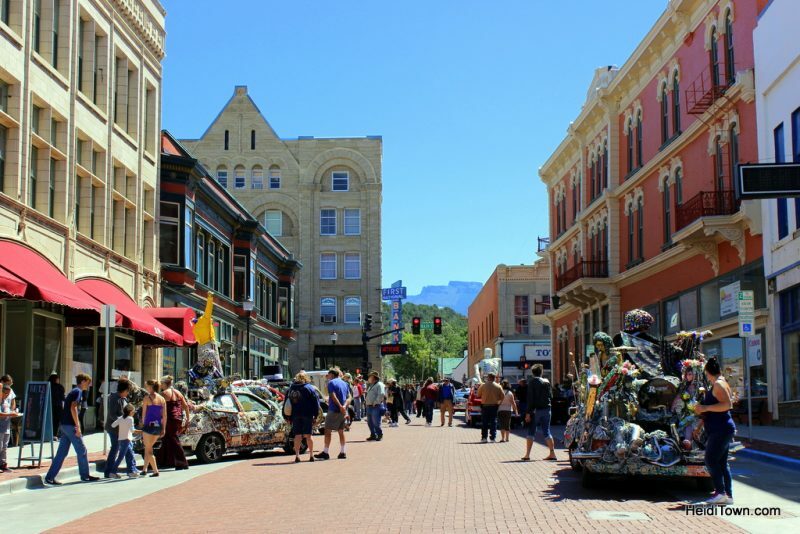 Last year, more than 80 art cars rolled down Trinidad’s main street and the crowds were thoroughly entertained. 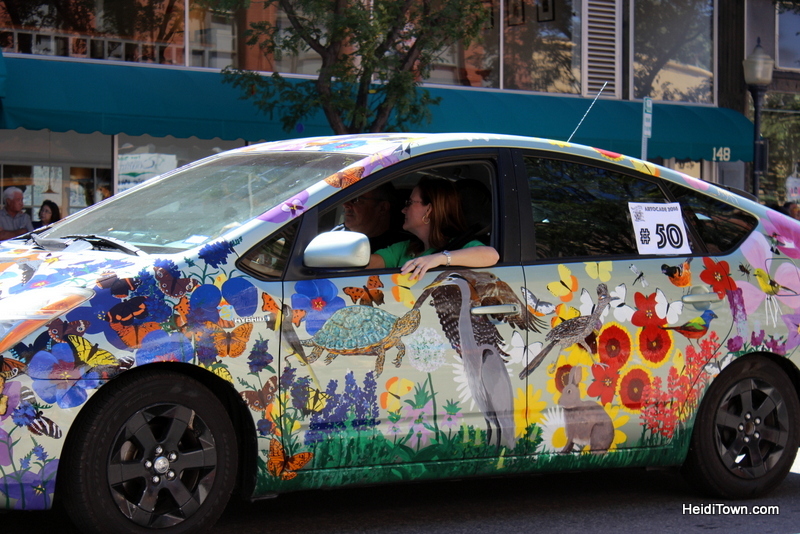 With art cars with names like ChewBaru and Stink Bug, you can probably figure out why. 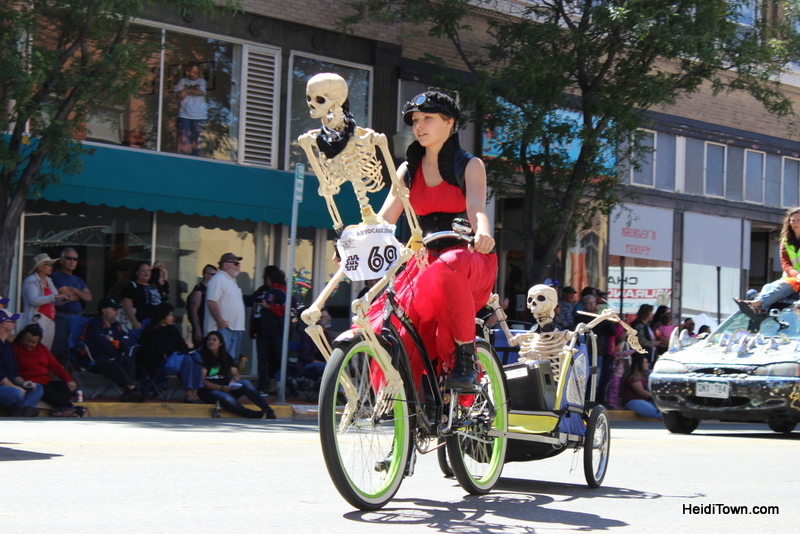 See photos from last year’s parade here. 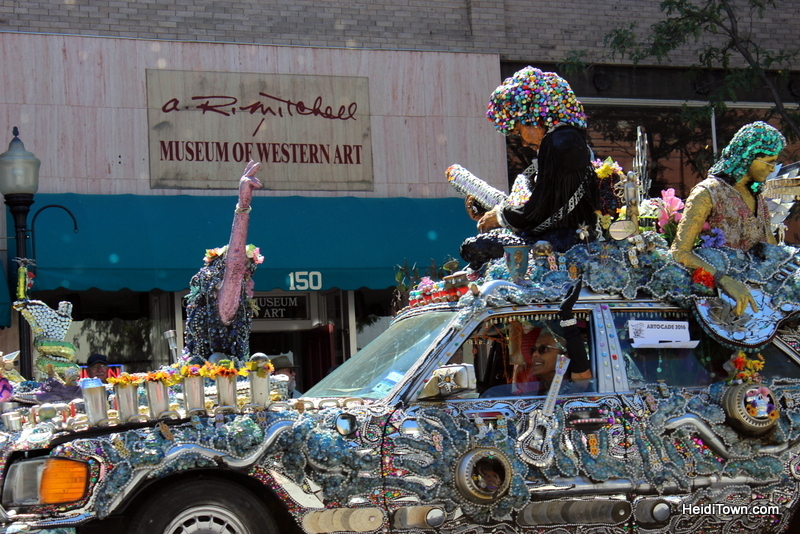 More than 100 art cars have signed up for the parade this year including 35 first-timers. ArtoCade kicks off on Friday evening with a Vehiculart, a downtown art exhibit like you’ve never seen before, followed by CarBash at BRIX Sports Bar & Grill. 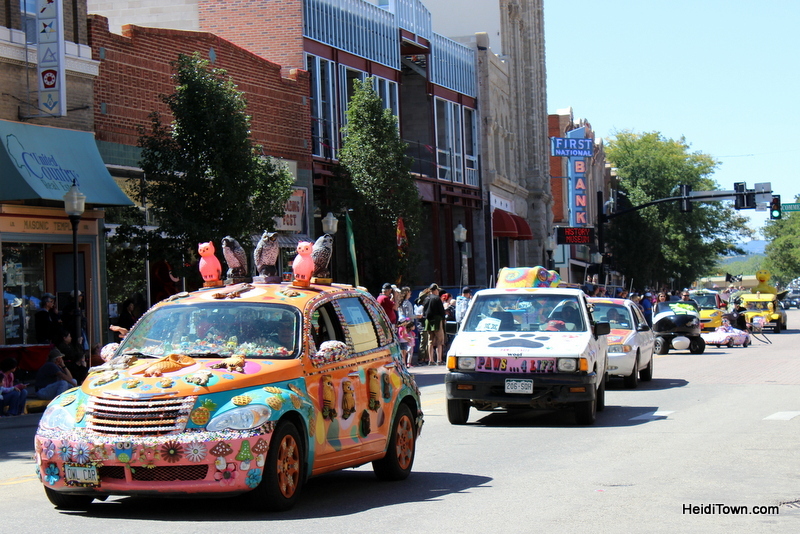 After the parade on Saturday, the art cars park downtown so that festival goers can get up close and personal with them and their owners. There are food stands and other vendors too – it’s a real, colorful street party. If you decided to show up here dressed as a Star Wars character or a big furry rabbit, no one would blink an eye. Weird is encouraged on ArtoCade weekend. Saturday night’s event is CarDango, which ArtoCade organizers describe as “part revue, part costume gala, part dance and part circus.” We attended last year and that’s a fairly accurate description Our favorite part was the samba dancer. While most of ArtoCade is free, CarDango is a ticketed event and it is taking place this year at the brand new Bizarre Car Garage in Trinidad. Awards are presented at CarDango and a fantastic time is had by all. Even if you don’t know anyone, CarDango is a welcoming affair, but leave the kids at home — this party is just for the grown-ups. Sunday morning there’s a cartist send off breakfast held at the Trinidad History Museum, which, by the way, you should tour when you’re in town. Everyone is invited to attend this breakfast which is a good example of how this is an inclusive, not exclusive event. I can tell you from personal experience that the cartists are a really great group of fun people. So Why Go to ArtoCade? Without a doubt, ArtoCade was the most memorable event we attended last year, and we attended a lot of events. It’s worth the drive to Trinidad. Featured Festivals spots on HeidiTown are paid advertisements. If you’d like to have your festival or event considered for a feature contact TheMayor@HeidiTown.com. Thank you! Thanks for showing a photo of my car, OWL Car, my husband and I came all the way from Bisbee, AZ which I know you have been to also.